100% UV Blocking: Blocks all UVA and UVB rays and protects your eyes from infrared wavelengths, glare and reflection. 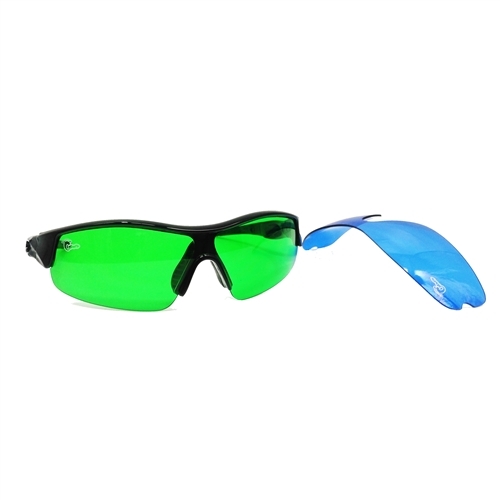 Reduce eyestrain and alleviate the pain from harsh lighting. 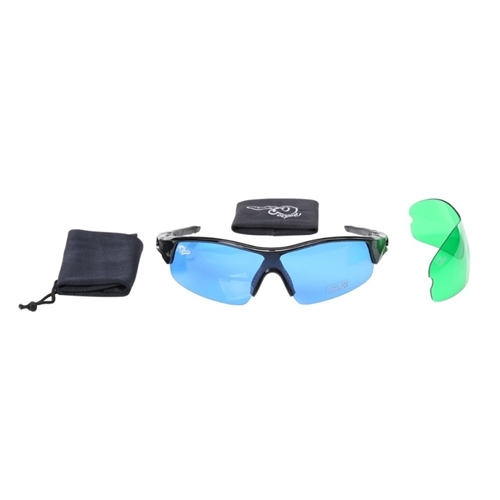 This set comes with blue lenses for working with High Intensity Discharge (HID) lights and green lenses for working with LEDs. Each pair of lenses help filter your view, making it easier to monitor and care for your plants regardless of the light source. Working with HID or LED lighting can have a long-term negative effect on your eyesight. Use our Hydro Crunch Indoor Grow Room Glasses with Interchangeable Anti-Glare UV Lenses as a preventative and protective solution. Overtime constant exposure to high levels of UV and infrared radiation leads to irreparable eye damage, including the loss of color perception, cataracts and the destruction of your night vision. Our Hydro Crunch Indoor Grow Room Glasses lens blocks all harmful invisible wavelengths, such as UVA, UVB, UVC and Infrared wavelengths. Your plants require these invisible wavelengths to flourish, but your eyes certainly don't.